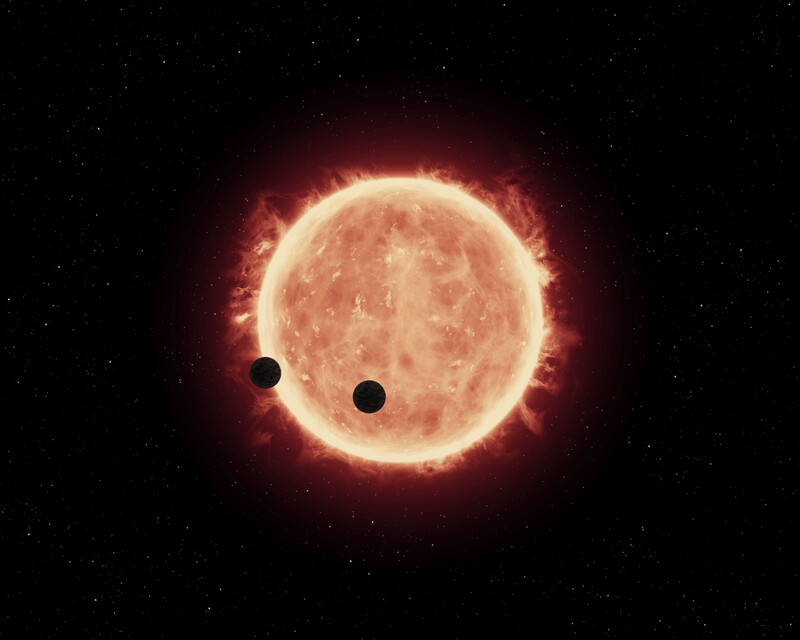 This artist's impression shows two Earth-sized worlds passing in front of their parent red dwarf star, which is much smaller and cooler than our Sun. The star and its orbiting planets TRAPPIST-1b and TRAPPIST-1c reside 40 light-years away. The planets are between 20 and 100 times closer to their star than Earth is to the Sun. Researchers think that at least one of the planets, and possibly both, may be within the star's habitable zone, where moderate temperatures could allow for liquid water on the surface. Hubble looked for evidence of extended atmospheres around both planets and didn't find anything.